Thorsten Brinkmann Solo Exhibition "Lug und Trug"
Thorsten Brinkmann Group Exhibition "The Video is the Message"
Thorsten Brinkmann Solo Exhibition "Farce Satrape"
Pius Fox Solo Exhibition at Galerie Conrads, Dusseldorf. 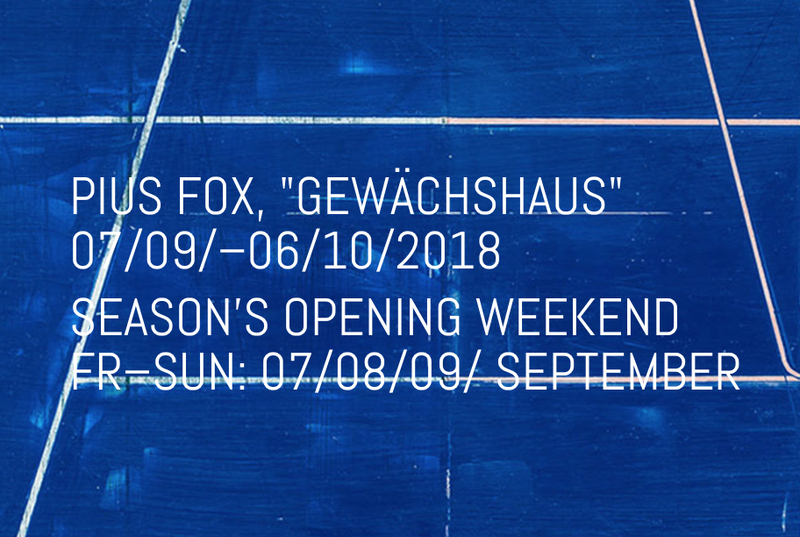 July 25th - August 31st, 2018 | Exhibiting a new series of paintings and works on paper. Long term installation of Frank Gerritz "Blockformation I“ room. An extensive Video installation and more than 30 framed works, masks and objects .The exhibition “FACELESS” explores the phenomenon of inescapable recognizability in the media and the resulting strategies of media users to become virtually faceless – a phenomenon that has become increasingly common in artistic practice after 9/11 and its sociopolitical consequences. 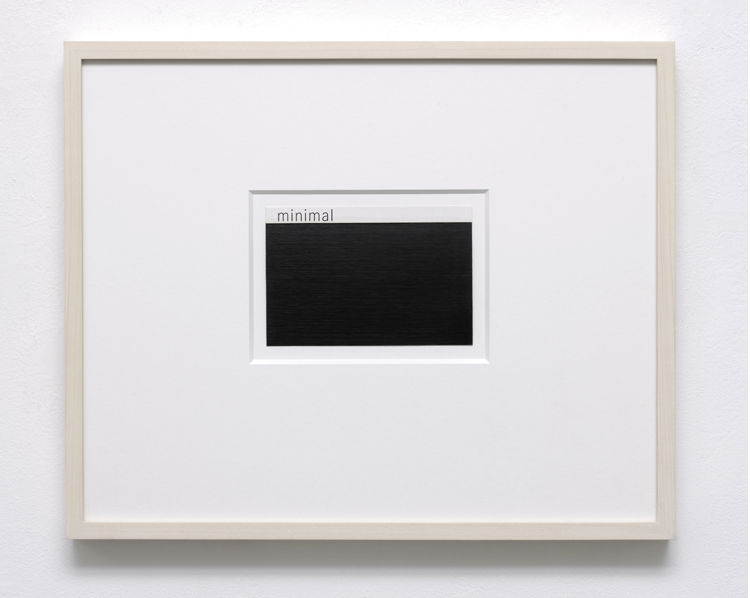 Showing : Thorsten Brinkmann, Frank Gerritz, Henrik Eiben, Mattia Barbieri, Michael Rouillard, and Shawn Kuruneru. 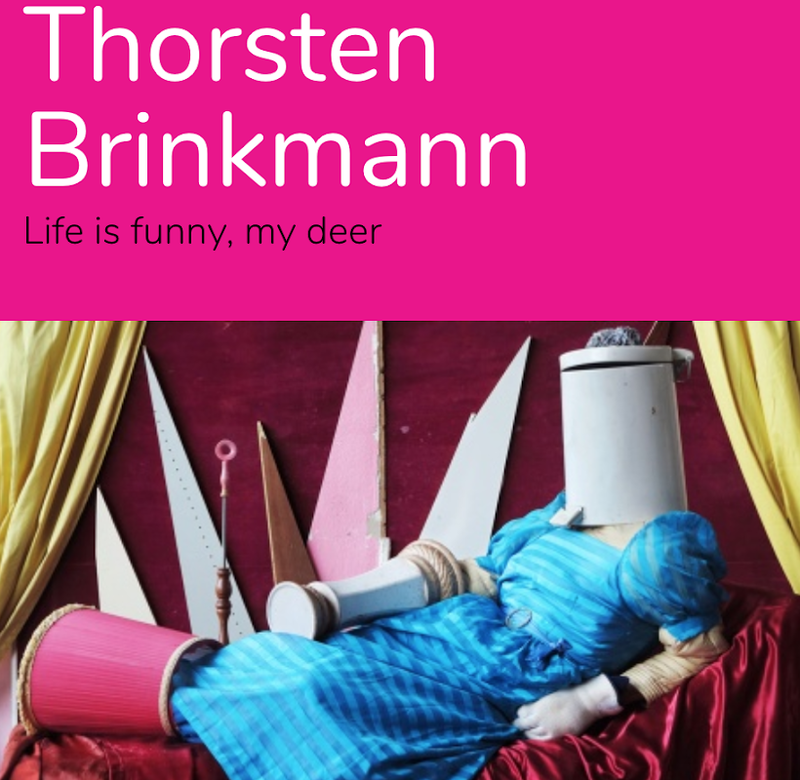 THORSTEN BRINKMANN - "WHY AM I ACTUALLY GERMAN?" THORSTEN BRINKMANN IN THE GROUP SHOW - "ZODIACO" @ MARSÈLLERIA IN MILAN, ITALY. This exhibition presents many new works by artist Eckart Hahn. Hahn creates images of change: he takes crystal, the symbol of uniformity and homogeneity, and encloses it in clay, a crystalline material but one which is soft and hence malleable. 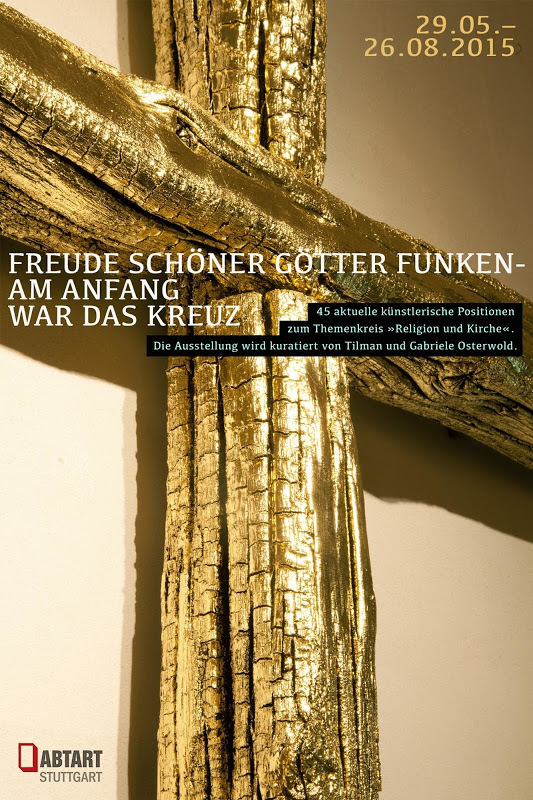 THORSTEN BRINKMANN SOLO EXHIBITION, "THE GREAT CAPE RINDERHORN". Be-Part, Platform for contemporary art, Belgium. 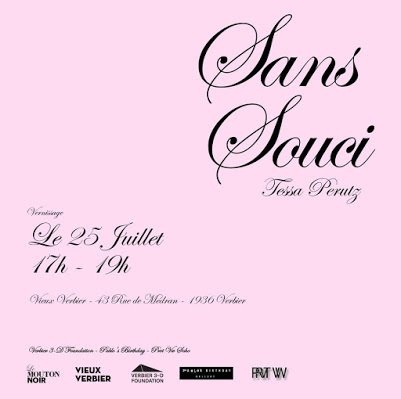 PIUS FOX SOLO MUSEUM SHOW @ FRAC AUVERGNE, CLERMONT-FERRAND, FRANCE. A complimentary light lunch will be provided to all who attend. PABLO'S BIRTHDAY PRESENTS 3 ARTISTS AT VOLTA11. PABLO'S BIRTHDAY AT VOLTA11, BASEL. As you see - a few courted princes of the art market. They rotate among the world circus. It's about the favor of investors who save Steuen. Museum presence is capital appreciation. The artists have none of it. They fail on a non-transparent system that wraps itself with lukewarm (ed) phrases in favorable silence. And the audience can wander silently around the museum. it brought the artist Christian Eisenberger radically to the point. Dr. Leo Hemetsberger, philosopher leads, through the discussion. 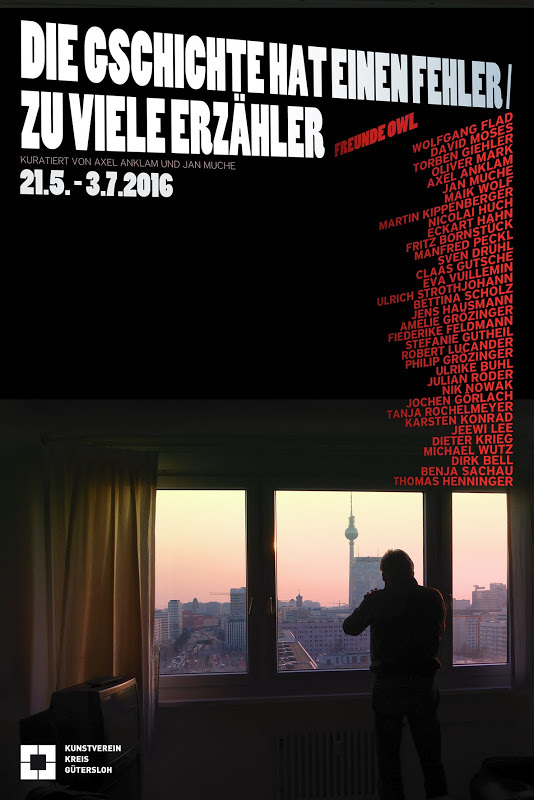 An Exibition on Comperative Study between Chinese and German Conceptual Art. 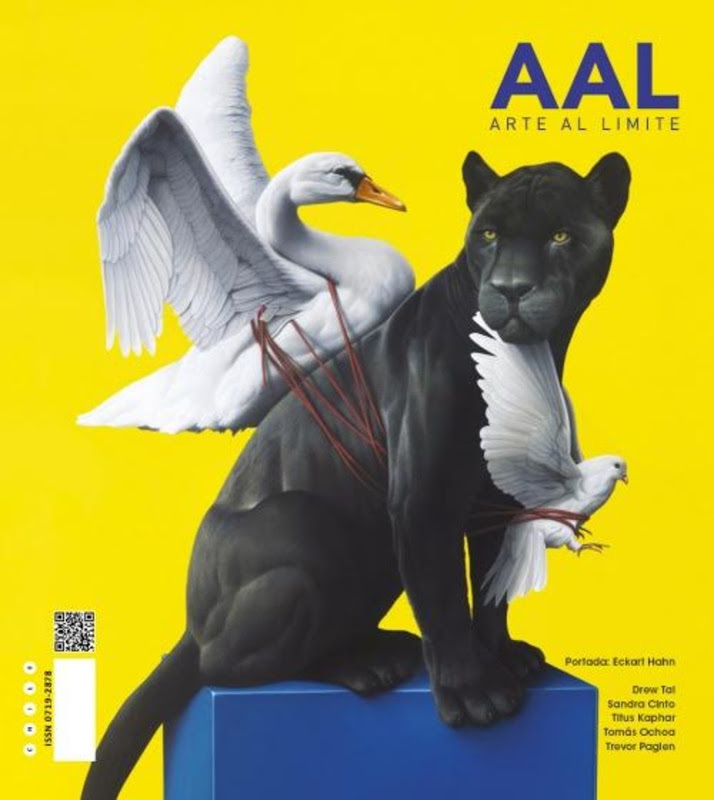 Künstler/ Artists: Bu Hua, Cang Xin, Hu Jieming, Miao Xiachun, Qiu Zhijie, Wang Jianwei, Wang Qingsong, Wu Junyong, Yang Fudong, Zhang Dali, Zhang Peili, Zhang Xiaotao, Annika Kahrs, Monika Michalko, Naho Kawabe, Peter Piller, Thorsten Brinkmann, Wolfgang Oelze. 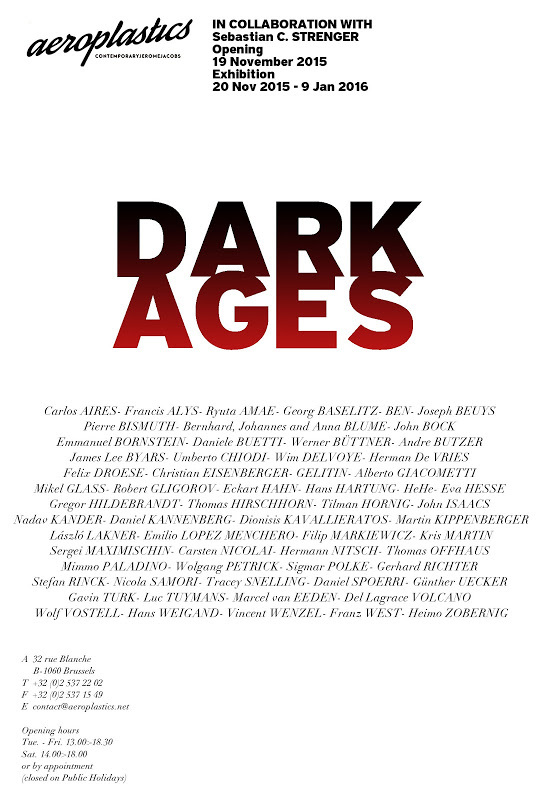 Art & Language, Lewis Baltz, Monica Bonvicini, Richard Artschwager, John Baldessari, Hanne Darboven, Lee Friedlander, Olaf Metzel, Konrad Klapheck, Astrid Klein, Imi Knoebel, Tobias Rehberger, Thomas Schütte, Santiago Sierra, Thorsten Brinkmann, Nathalie Czech, Sven Johne, Javier Téllez, Ena Swansea, Chris Burden, Andreas Feininger, Eric Fischl, Mimmo Paladino, Man Ray, Jerry Berndt, Werner Büttner, Merlin Carpenter, Nicole Eisenman, Dennis Hopper, Ray Johnson, Mike Kelley, Paul McCarthy, Albert Oehlen, Raymond Pettibon, David Robilliard, John Bock, Christian Jankowski, Andy Hope, Jonathan Meese, Christoph Schlingensief, Andreas Slominski, u.a. On the basis of key works from Erlangen’s Municipal Collection, the exhibition #catcontent examines the diverse forms of the depiction of animals in art. In the shape of images, animals have served as attributes, symbols, or metaphors for human traits for many centuries. Pablo's Birthday is participating in DRAWING NOW edition 9 in Paris. 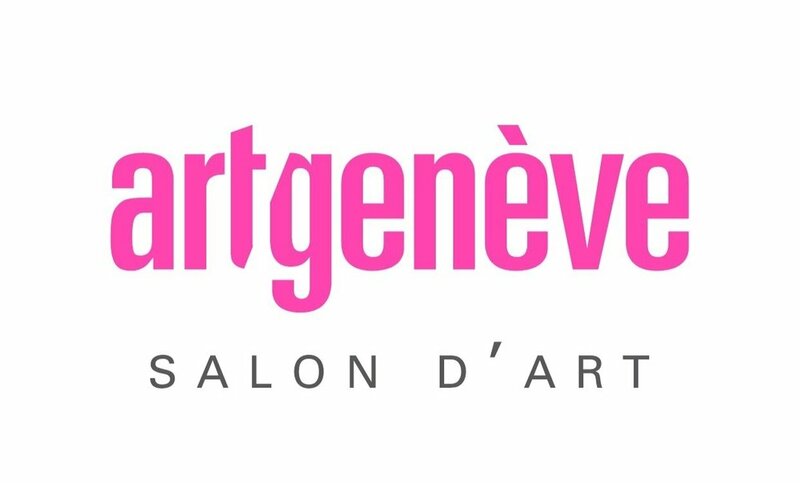 Latin America’s most important contemporary art fair, brings collectors, specialists and galleries from every part of the world together in Mexico City. 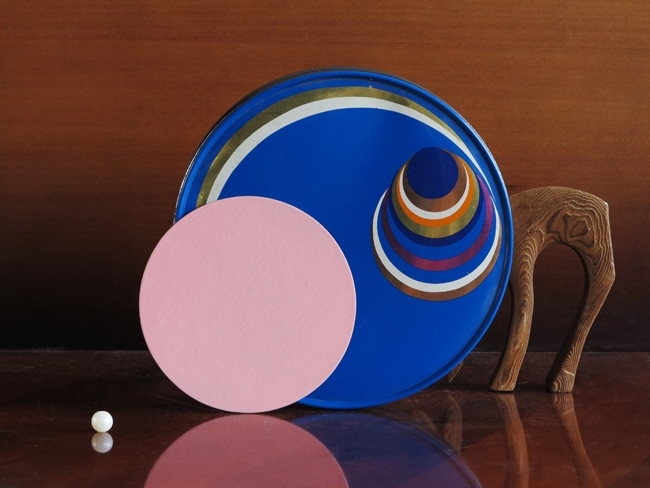 Kunstverein Schwäbisch Hall will show recent paintings of Eckart Hahn as well as some sculptural aspects of his work. BLOUIN ARTINFO NAMES "LIKENEWLANDSCAPE" AT PABLO'S BIRTHDAY TO IT'S 5 MUST-SEE SHOWS. “LikeNewLandscapes” at Pablo’s Birthday, through October 19 (57 Orchard Street)Organized by the curatorial group Front Company, this survey of digital work has some interesting thematic overlaps with the excellent “New Romantics” show at Eyebeam earlier this year. The highlights here use technology to birth whole new environments, like Takeshi Murata’s “Nightmove,” 2012, a kailedoscopic, frenetic nightmare in the artist’s studio. (Sculptures wooze and blur; a chair and a ladder dance and cackle; at times the image shreds itself into fast-moving confetti.) Tabor Robak’s “20XX” is close to perfect: A virtual “camera” floats through an ad-laden cityscape, something like a mad hybrid of Tokyo and Times Square. Rain streaks across the lens, and the whole scene is infused with a purple chemical glow. THE KÜNSTLERHAUS-HALLE FÜR KUNST & MEDIEN PRESENTS NEW PAINTINGS BY ANDRÉ BUTZER ENCOUNTERING THE WORK BY ARTIST CHRISTIAN EISENBERGER. 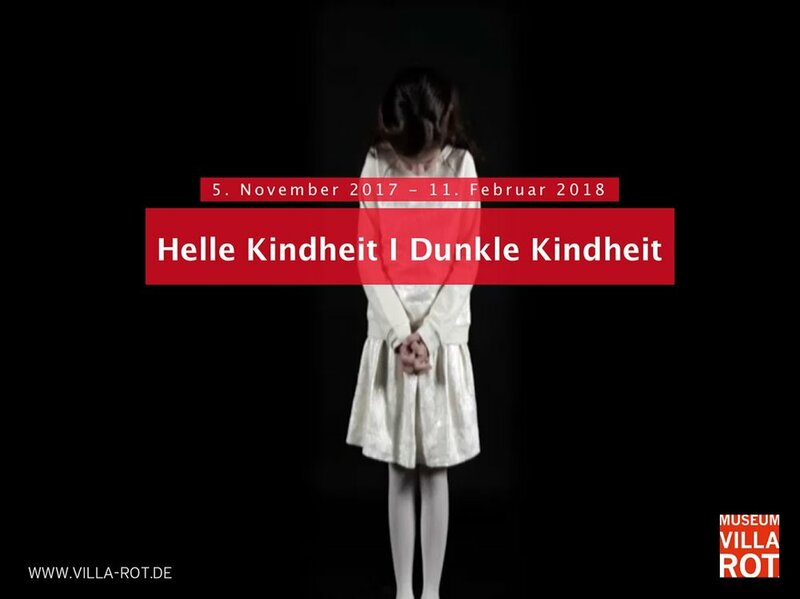 The Künstlerhaus KM–, Halle für Kunst & Medien is pleased to be able to present new paintings by the German artist André Butzer (born 1973 in Stuttgart, lives in Rangsdorf/Brandenburg) in the venue’s main exhibition space. Here Butzer’s artwork encounters the work by artist Christian Eisenberger, who is being shown in parallel. PABLO'S BIRTHDAY AT VOLTA10 BASEL. JUNE 16-21, 2014. THORSTEN BRINKMANN IN CAPITA SELECTA AT THE BROELMUSEUM KORTRIJK, BELGIUM. CONTEMPORARY INTERPRETATIONS OF PORTRAITS IN CONFRONTATION WITH PIECES FROM THE MUSEUM COLLECTION. HENRIK EIBEN IN "SMALL IS BEAUTIFUL"
ECKART HAHN IN "DIE HALLUZINIERTE WELT"
"Moving beyond Brooklyn, Pablo’s Birthday, in the Lower East Side, and Patrick Heide Contemporary Art, in London, shared a booth, curating a fantastic selection of works by Henrik Eiben and Pius Fox, respectively. 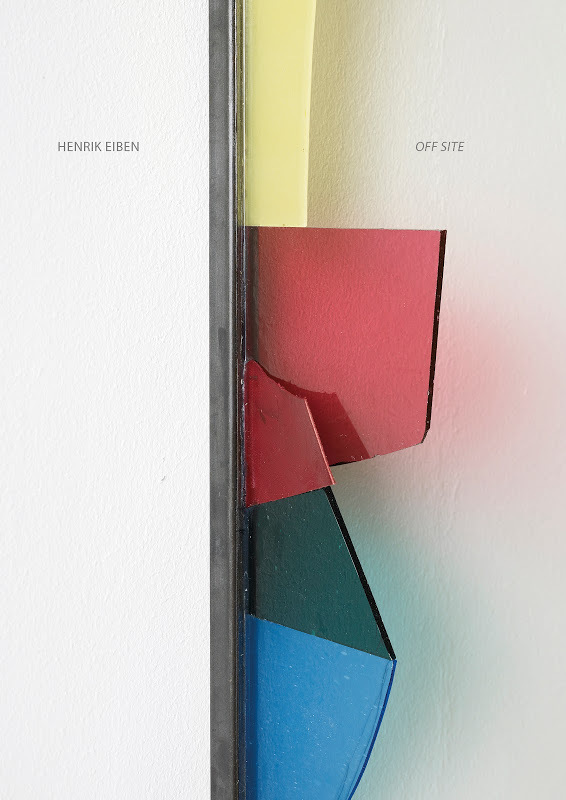 Eiben’s wall-mounted sculptures bring together a variety of materials—from leather and acrylic glass to popsicle sticks and watercolors—to create dramatic experiments in light and dimension. Ell, a series of three diamonds, and Gilead, a pair of large, rectangular pieces, are built of acrylic glass set at varying positions that react to changing light. Thanks to differences in the angles at which the glass is set, the pieces are hung, and the light positioned, different colors are produced by the same piece of glass. The result of this unique construction is a faux-kinetic piece that is rich in luminescence and is an ever-changing treat for the eye. The abstractions of Pius Fox are, in a word, sublime. Worked quickly and with very little pre-planning, these paintings are incredibly energetic. Their surfaces are rich in detail, the speed of Fox’s work leaving a readable puzzle that tells the story of each piece’s creation. 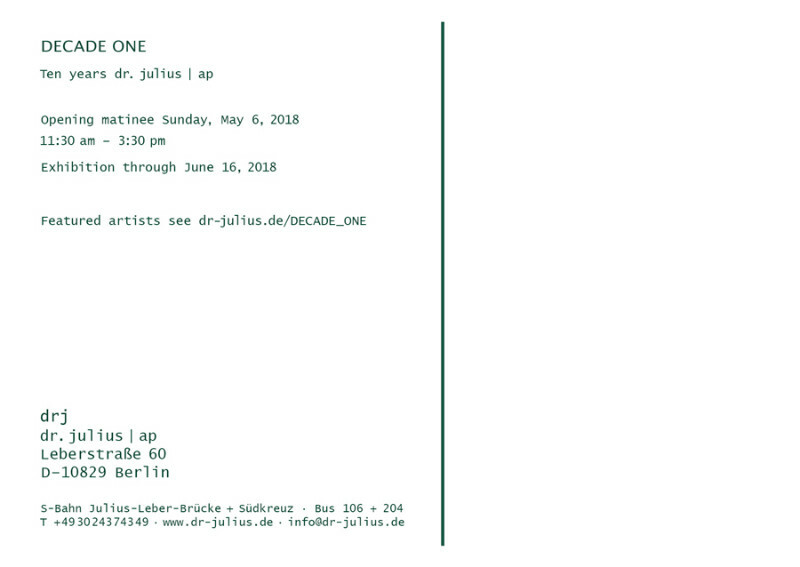 A young artist (born in 1983, he graduated from the University of the Arts in Berlin in 2010), he is brimming with talent and holds great promise for the future." HAIR! "DAS HAAR IN DER KUNST"
ART IN AMERICA REVIEW OF THORSTEN BRINKMANN'S "LA HÜTTE ROYALE"
La Hütte Royal transforms the interior of a middle-class house abandoned in the quiet suburbs of Pittsburgh, just minutes from downtown, combining Brinkmann’s own art and aesthetic with wild objects left behind by its owners and subsequent squatters. The project was commissioned by Pittsburgh-based collector Evan Mirapaul, inspired by the Art House Project on Naoshima Island, Japan, where individual artists have altered abandoned houses in a single neighborhood.Hundreds of LPs, trophies, furniture, and objects are given a new found noble purpose in installations from a basement rec room with a whimsical boxing ring to a home theater in the attic with vintage beauty-parlor hair-drying stations for seats. Pablo's Birthday artist Frank Gerrtiz Solo show at Nusser and Baumgart "On a Cloudy Day“, The exhibition contains three brand-new series: Aquarello Drip Drawings, Dark | Light | Space, and Concept Drawings. 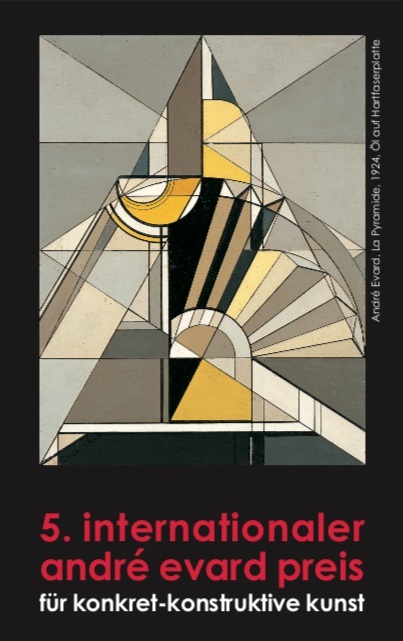 The aquarellos and concept drawings will have their international debut. PRESENTING ARTISTS ECKART HAHN,THORSTEN BRINKMANN, FRANKL GERRITZ, AND HENRIK EIBEN - MONDAY, JUNE 10 - SATURDAY, JUNE 15, 2013. VOLTA is a platform for presenting the vision of contemporary art galleries of global repute whose artists represent new and relevant positions for curators and collectors alike. Conceived to bridge a gap between Basel's pre-existing fairs, VOLTA showcases galleries – whether young or mature – that choose as their mandate to work with the most exciting emerging artists. These galleries must maintain deeply meaningful connections with their artists and follow them throughout their careers. PRESENTING CONTEMPORARY WORKS FROM THE WORLDS OF ART AND FASHION IN WHICH FACES ARE HIDDEN, TRANSFORMED, OR MASKED. German artist Thorsten Brinkmann is always faceless in his self-portraits. For his photographs, which in color, pose, and composition are reminiscent of classic portrait painting, he puts together used everyday objects, discarded furniture, and household detritus as objets trouvés. 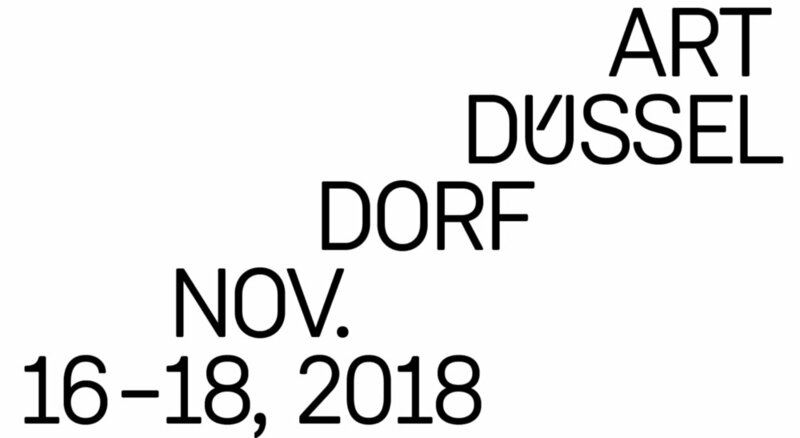 In addition to some one hundred works by artists including Marina Abramović, Thorsten Brinkmann, Asger Carlsen, Shahram Entekhabi, David Haines, Ren Hang, Ute Klein, Nienke Klunder, Manu Luksch, Slava Mogutin, Mustafa Sabbagh, Jan Stradtmann, and Levi van Veluw, the show features masks by designers like Maison Martin Margiela, Jun Takahashi for UNDERCOVER, and Katsuya Kamo for Junya Watanabe’s COMME des GARÇONS. 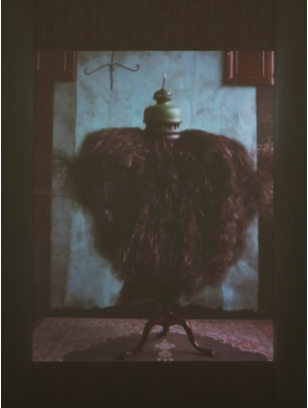 The exhibition – curated by Johannes Sperling – investigates the different approaches and motivations for the presentation of the self between portrait and performance. dilemmas of our contemporary lives, the mess we are in, and the hopes we try to hold on to or to re-generate. At Storefront Bushwick. Artists include: Pedro Barbeito, [dNASAb], Cliff Evans, Carla Gannis, Shane Hope, Michael Rees, John F. Simon Jr., Vargas-Suarez Universal, Oliver Warden, and Marius Watz. The goals of this exhibition are to define the parameters of the “New Aesthetic” in relation to the fine arts, to highlight the non “digital native” artists who are the passionate “frontiersmen” of the “NEW” in their decision to adopt the tools of the “NOW,” and to encourage further discourse and collaboration in the delineation of what constitutes the “New Aesthetic” in contemporary art. 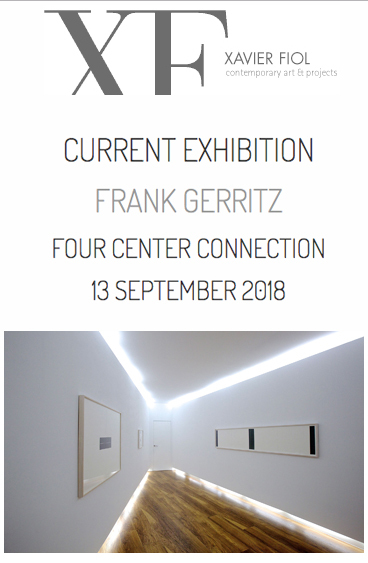 For his third solo-exhibition at Bartha Contemporary, German artist Frank Gerritz (B. 1964) will premiere a suite of works entitled ”Dark Spaces / Light Spaces” alongside two recent paint-stick on anodised aluminium wall-sculptures. 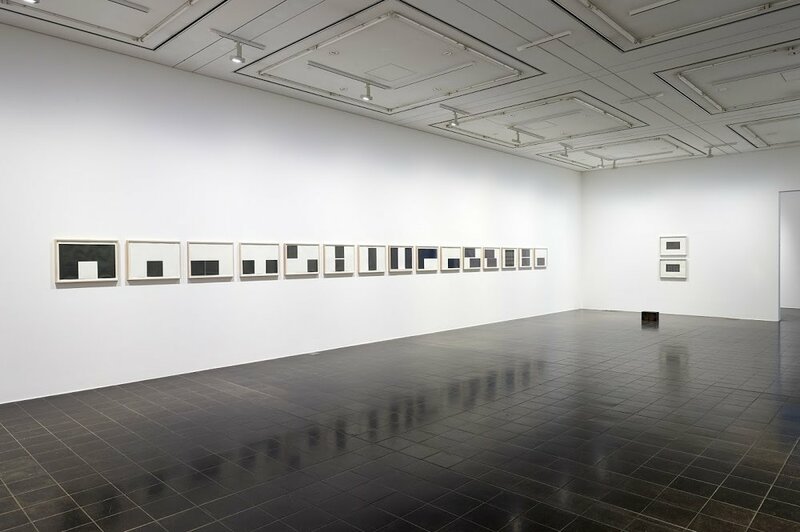 The exhibition juxtaposes two distinct bodies of works, which showcase the artist’s unparalleled ability to capture light, either within a highly constructed composition or as in his latest work though a subtle move towards a painterly practice. A recent drawing on paper completes the installation. PABLO'S BIRTHDAY IN THE ASIA PACIFIC CONTEMPORARY ART FAIR - SHANGHAI, CHINA. 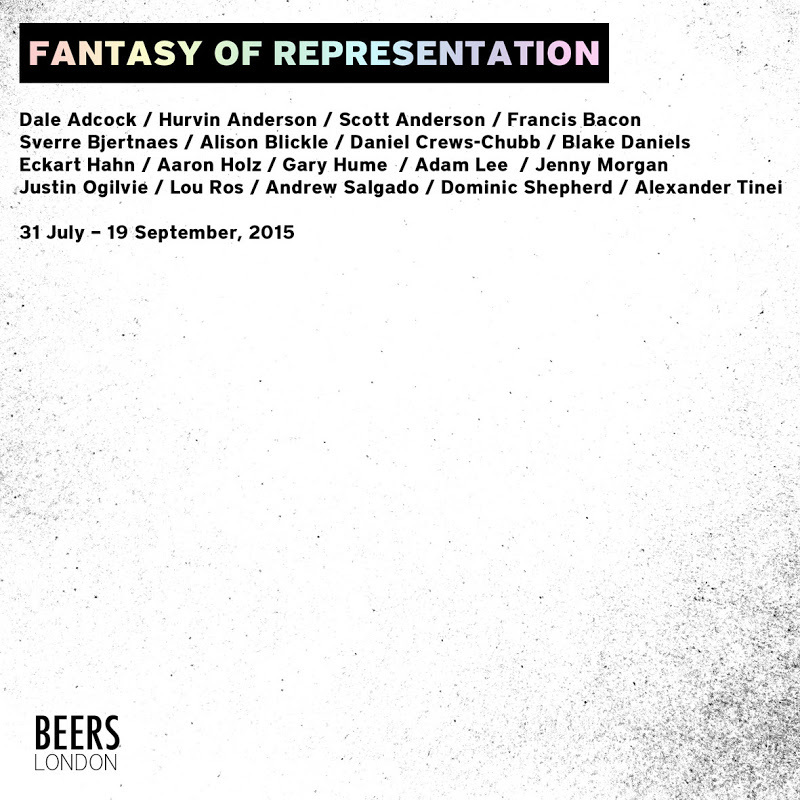 Featuring Thorsten Brinkmann, Henrik Eiben, frank Gerritz, Eckart Hahn, and Mark Lueders. Using acrylic as his chosen medium, German painter Eckart Hahn creates large-scale canvases that can make you imagine the crinkling sound of a deflated birthday balloon. His ability to precisely render textures and fabrics defies the boundaries between the senses, making the viewer feel as if he or she can feel and hear the flowing sheets of plastic rub against a crow’s soft feathers or a cat’s rippling fur. The snapshot quality of Hahn’s realistic compositions creates the sensation of watching an animal barge in on what was a carefully-arranged still life. Yet, the animals exude an aura of calm, as if they are at peace with these odd plastic habitats. Take a look at some images courtesy of Pablo’s Birthday. Today’s facial recognition technology is making strides in distinguishing, literally, a face in the crowd. Its algorithms are built into many sites and apps, proving to be a helpful tool in managing images of friends and family. However, it also raises questions about trust, identity and intrusion, for example, when our own images appear without our permission on someone else’s Facebook page. Artist Carla Gannis explores these issues in The Non-Facial Recognition Project, her experiment in “facial recognition subversion.” Gannis asked her Twitter network to send her their profile photos with the expressed purpose of “scrambling” the images and in effect making new identities unrecognizable to either the donors or to the technology. Through this project, participants place their likenesses and their identities in her hands, much like the trust we place every day in the technology itself. To read more, download the full brochure here. An initiative that takes online debates into real-space at the Flux gallery. Four highly opinionated panelists will illustrate their arguments with images, web references, and other materials in a rapid-fire way that challenges convictions on critical issues. Audience members can expect spontaneous responses, frustrated rebuttals, and even permitted “smack down” sessions. A show of 25 artist's who's work is in a direct context of Nature. Daniel Spoerri curated the show as a comment on his current exhibition at the "Naturhistorisches Museum Vienna". He calls it "incompetent dialogue". 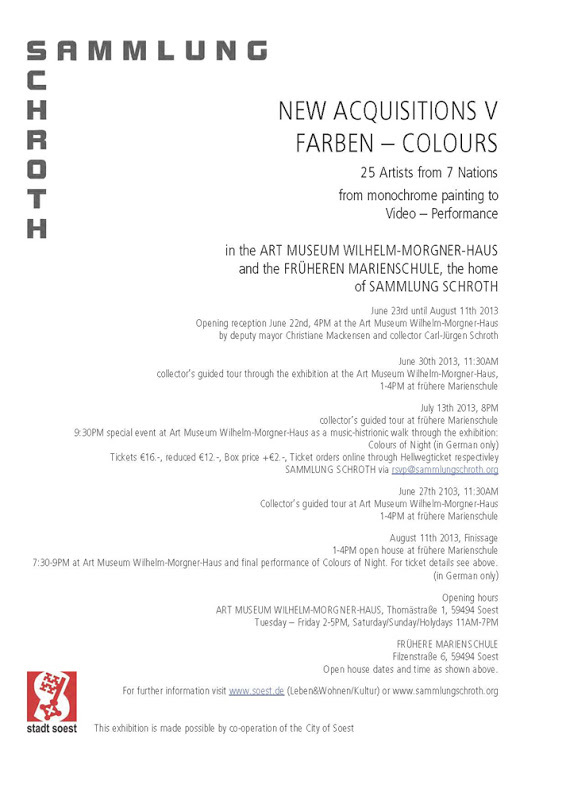 ECKART HAHN OPENS IN KUNSTMUSEUM HEIDENHEIM, GERMANY. 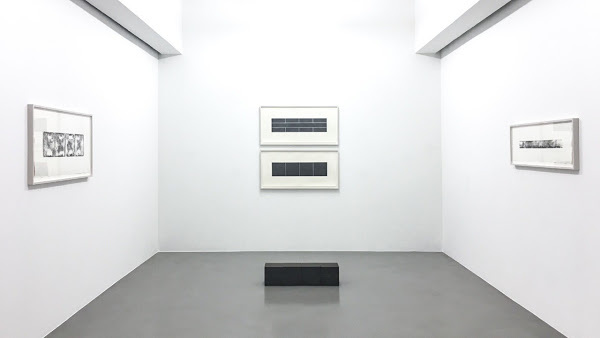 Eckart HahnDecember 10, 2011 – February 26, 2012Der schwarze Duft der Schönheit - Malerei(The Black Scent Of Beauty - painting)We are pleased to announce Eckart Hahn's museum show at the Kunstmuseum Heidenheim. ACCOMPLISHED, A GROUP EXHIBITION FEATURING THE MULTIMEDIA WORK OF SEVEN EXTRAORDINARY FEMALE ARTISTS. The George Gallery354 Pacific Coast Highway, Laguna Beach, CA, 92651opening reception, Feb 2, 2012 6-9The grand opening of The George Gallery with the show ACCOMPLISHED features seven female artists: Carla Gannis, Susan Jamison, Lisa Stefanelli, Soledad Pinto, Magdalena Atria, Livia Marin, Talin Megherian.The artists featured in Accomplished belong to prestigious museum collections such as the MOCA in Los Angeles, The Indianapolis Museum and the Museum of Fine Arts in Taipei. Each artist has enjoyed solo shows around the globe and participated in eminent biennials and many have been critically acclaimed by heavyweights such as the New York Times and the Los Angeles Times. PABLO'S BIRTHDAY AT THE NY FAIRS. Pablo's Birthday is will proudly present the work of gallery artist Henrik Eiben at the 2012 VOLTA NY in New York City, Thu, March 8th - Sun, March 11th. VOLTA NY is an invitational solo project fair for contemporary art.From the fairs website -"By putting the focus back on artists through exclusively featuring solo projects, VOLTA NY promotes a deep exploration of the work of its selected projects, an opportunity for discoveries that move beyond those afforded by a traditional art fair. While many fairs provide a broader overview, with more represented artists in each booth, visitors to VOLTA NY compare the experience to a more focused series of intense studio visits"
Eckart Hahn opens his second Museum Show of 2011 in Germany on September 15th in Erlangen. After a highly celebrated show in the Kunstmuseum Bochum this summer the Kunstpalais Erlangen shows a even wider body of his work. The works are on loan from collectors from Europe and the USA. 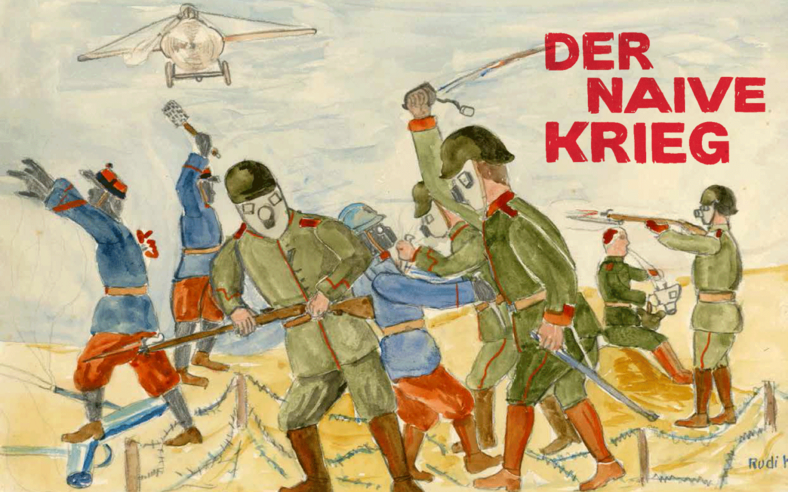 A book of Eckart Hahns work will be published to accompany the show by Koenig Books. 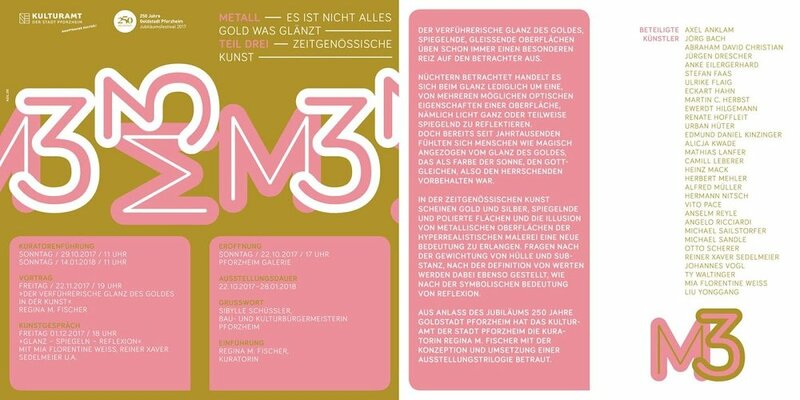 The museum show will travel to Kunstmuseum Heidenheim and after that to the Staedtische Kunstmuseum Singen. Karsten Konrad has transformed Pablo's Birthday into a working wood shop and studio, and has been diligently working for the months of August and September in preparation for his upcoming exhibition "GUTTER PEARLS", at Pablo's Birthday, opening September 15th.